Chic Being - BLOG-How luxury travel & hospitality market changes in the era of new technologies? How luxury travel & hospitality market changes in the era of new technologies? The Chic Being team is passionate about luxury marketing and development of the global luxury market. Part of our daily routine is engagement in building meaningful relationships with: beauty, fashion and lifestyle leaders, luxury market associations, media and bloggers. Today, we have a pleasure to interview Suze, aka Luxury Columnist about the influence of new technologies and social media on the modern luxury travel & hospitality market. After a significant decline in 2009 and slow recovery in 2010, the global luxury travel market recorded strong growth in the last few years. One of the key drivers of this growth was the increasing number of high net worth individuals (HNWIs), mainly in the BRIC countries (Brazil, Russia, India and China). According to forecasts, this growth in global luxury travel market is expected to continue* and global online travel sales is estimated to reach 671 billion dollars in 2018. According to 2015 Digital IQ Index® for Luxury Hotels prepared by L2 Inc, today luxury hotels’ investments in digital do not match this opportunity. Only 84% out of 50 luxury hotel brands researched offer a mobile optimized site experience and just 45% offer a branded app. The existing mobile apps facilitate the basic rooms reservation but more advanced options such as mobile check-in and check-out, keyless entry to the room or online room selection based on the floor plan are not common features. New technologies supporting rewards programs, mobile friendly websites & booking apps, extensive social media presence with interesting content is already a “must have” to stay competitive on the market and appealing to digital savvy customers. 1. Suze, thank you for speaking with Chic Being today! You have been travelling to numerous destinations and working with various brands from the luxury hospitality & travel area. Could you please let our readers know how the luxury hospitality & travel market has changed over the last couple of years? Have you noticed any significant trends in this area? It’s a pleasure! One of the major trends in the luxury travel market is that customers are more inclined to shop around. They are increasingly looking online for recommendations from trusted sources. These days, luxury travel is all about the experience – this is partly due to social media as customers now want to participate in a fun activity that they can then share. Arranging unique experiences that are specific to the local area, such as meeting an art gallery owner for a curated tour, is a sure fire way to enthuse your clients. Similarly, organizing a visit to a local house for drinks or dinner will give your customers the immersive experience that will make their stay with you memorable. 2. In a hotel industry, location and ratio of quality vs. price are driving factors for a booking decision. According to you, what are the most important factors nowadays enhancing luxury customer experience and influencing decisions of HNWIs to choose one luxury hotel over another? First impressions are paramount, whether ease of booking online or a friendly front desk upon arrival. Personalization is also key – enabling guests to specify their preferences online prior to their arrival will ensure client satisfaction and also help to build up a client profile that will be invaluable for their future visits. This might include the choice of pillows, type of music to be played in their suite, whether they wish for complimentary fresh fruit to be included. Speedy, free Wi-Fi is also essential in these days of permanent connectivity. 3. Leading luxury hotel chains introduce global customer loyalty programs (extremely important in terms of revenue streams), mobile friendly websites, in-house apps and other digital tools to get closer to their customers. What about boutique luxury hotels? Do you see a difference in online customer experience? Boutique luxury hotels should make the most of their smaller scale to offer a truly bespoke experience. One hotel recently impressed us by greeting us by name before we had even checked in. They wouldn’t reveal their sources but they probably looked up our social media profiles for our photos! 4. Depending on the industry, there are many ways to build the special relationship through Social Media. Increased presence of user generated content and cooperation with influencers are only few ways to interact with luxury customers. How do you see the future of Social Media in the luxury travel area? Brands that offer their clients insider travel tips on their websites and give them a forum to provide their own tips, will be able to open up a real dialogue with their customers. Creating Instagramable experiences is hugely important, whether with a striking lobby design, latte art in the hotel’s café, or a digital photo wall, either on the hotel’s website or in the hotel itself, where customers can share their photos of their recent stay. 5. Instagram and Pinterest are major social media channels used in the luxury travel industry. Four Seasons Hotels and Resorts with 180 thousands followers on Instagram (engagement rate 1.5%) and 50 000 followers on Pinterest is a leader among luxury hotels. There is definitely much bigger potential and opportunity to grow in this area. How could cooperation with bloggers and influencers grow these channels for the industry? According to the Affilinet Trust Index, bloggers are the third most trustworthy source of information, behind friends and family but way ahead of brands. It’s possible to cooperate with content creators right from the inception of a brand. 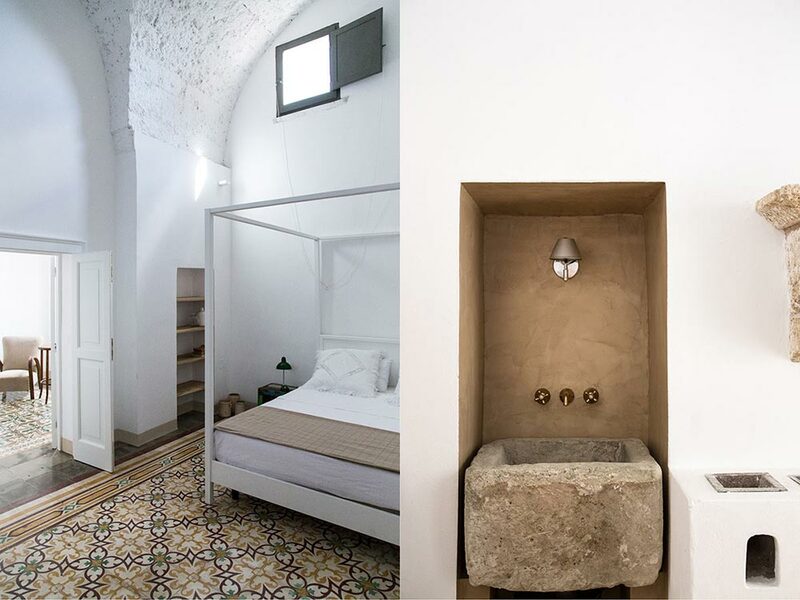 Amberlair, the crowdfunded boutique hotel, is a good example. They asked bloggers and the general public to share their suggestions for the future location of their hotel and will be incorporating the public’s suggestions for must-have services once they launch the hotel itself. Cooperating with influencers, if done right, will increase the trustworthiness of a brand, increase awareness and bring in new potential customers. 6. What other digital activities do you consider to be successful in building the awareness of luxury travel brands? Many travelers prefer to book via a brand’s mobile app rather than the brand’s website, particularly in the case of North American luxury travellers. YouTube fits the focus on traveller experiences and clients are increasingly seeking out GoPro videos that give a first-hand view of an activity, whether tobogganing for a ski resort or grape stomping for a hotel in a wine growing area. 7. Who are your readers and how do you usually cooperate with luxury brands? Our readers are a fairly equal mix of male/female, aged over 25 years old and interested in luxury travel, fine dining and style. They are currently based mainly in the UK, USA, Europe, Canada, Australia and Russia. We like to build up long term partnerships with the brands that we choose to work with, whether advising on social media, setting up and managing social media channels, creating content for a client’s site or our own and promoting across our social media platforms. We’re open to all suggestions!